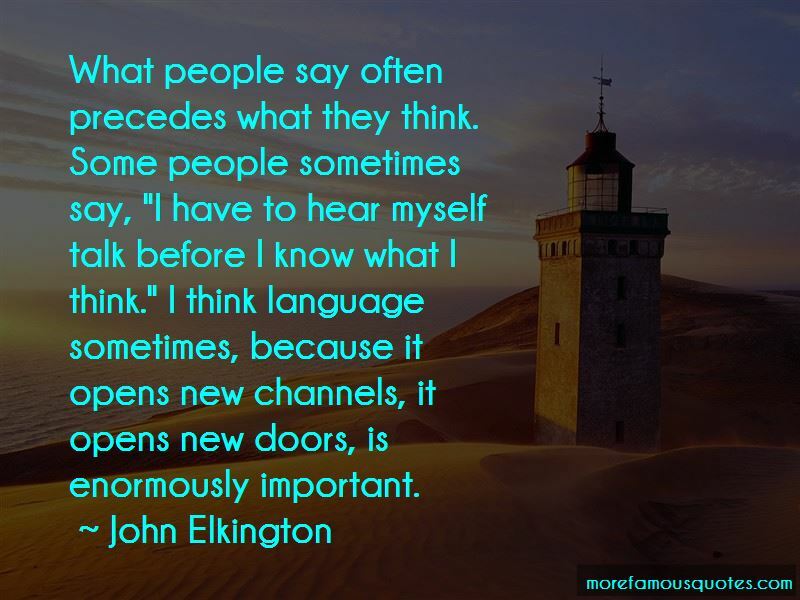 Enjoy the top 12 famous quotes, sayings and quotations by John Elkington. Any prudent business looks at the reality and how to maximize our investment. 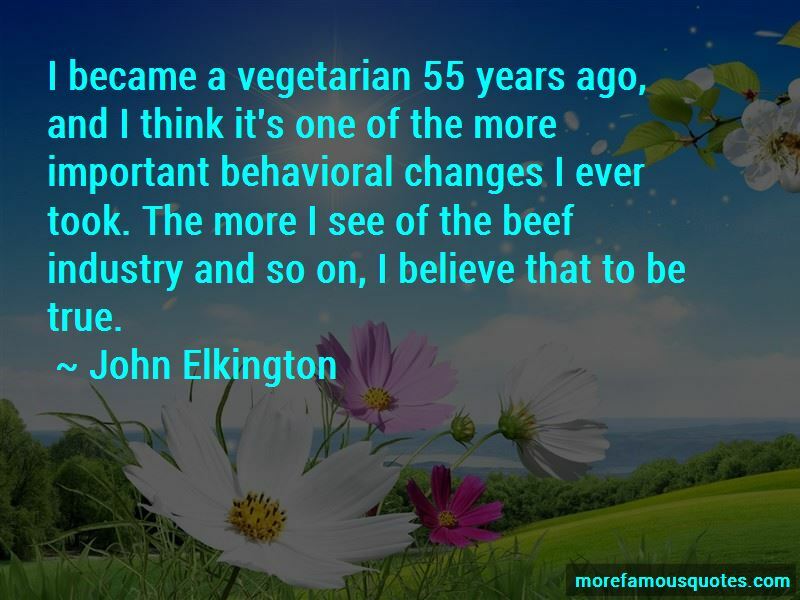 I became a vegetarian 55 years ago, and I think it's one of the more important behavioral changes I ever took. The more I see of the beef industry and so on, I believe that to be true. I'm worried about greenwashing. I think we should come down on it very, very hard, whether it's with criminal intent or actively deceptive. I think consumerism breeds dissatisfaction, and I think that the advertisers play to that. So I cannot be comfortable with that. On the other hand, the cornucopia of products and innovation - I love Apple, for example. That's a temple of consumerism in many ways. 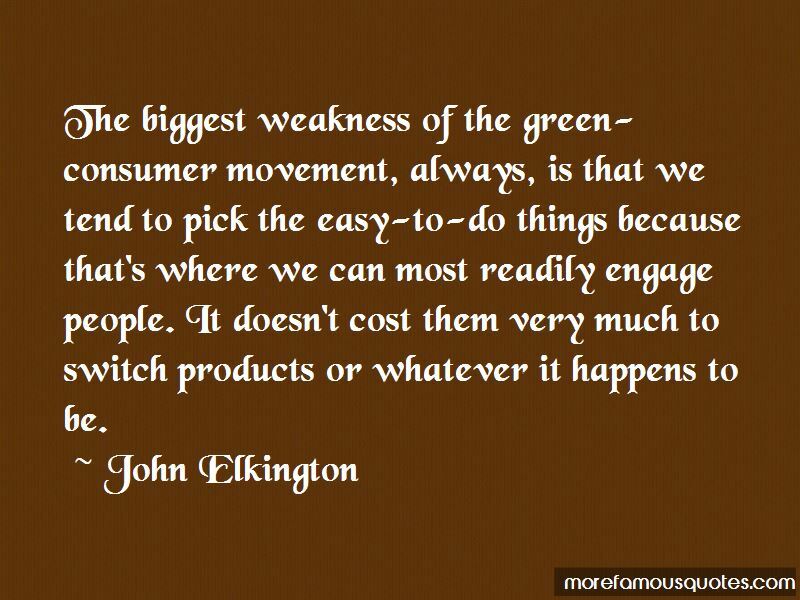 Want to see more pictures of John Elkington quotes? 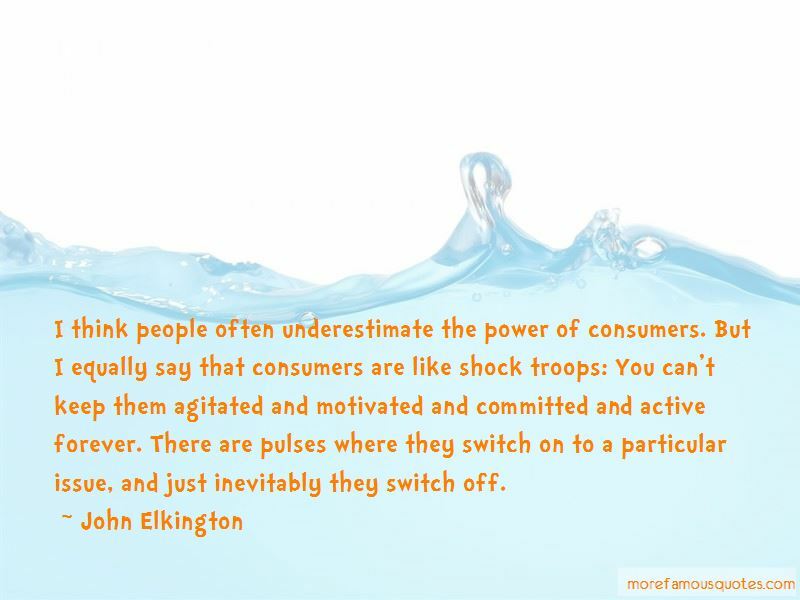 Click on image of John Elkington quotes to view full size.